I think everyone should visit Christchurch to witness the greatness of human resilience, endurance and hope. 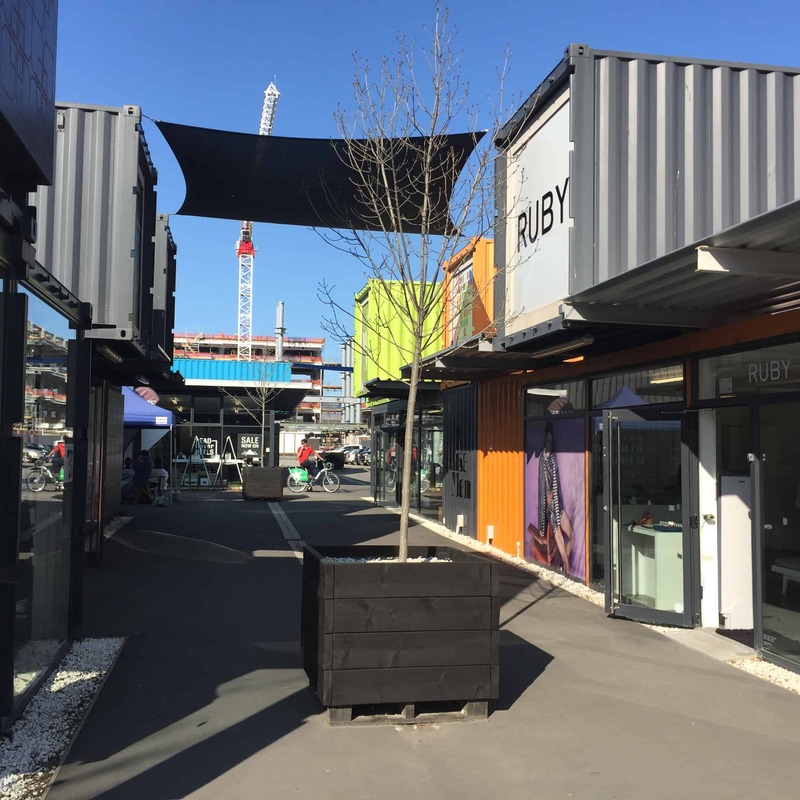 One thing you can’t help noticing around Christchurch is all the shipping containers. 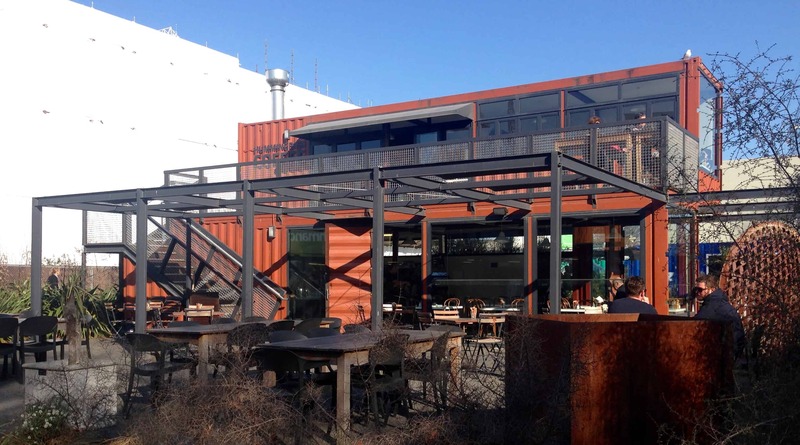 Containers have been used around damaged buildings like scaffold, It really is quite amazing to see, very ingenious. I’ve wondered who came up with the idea to use containers as ballast. Who paid for these containers. Were they donated by the shipping companies? Did the government buy them? And how much does a shipping container cost? 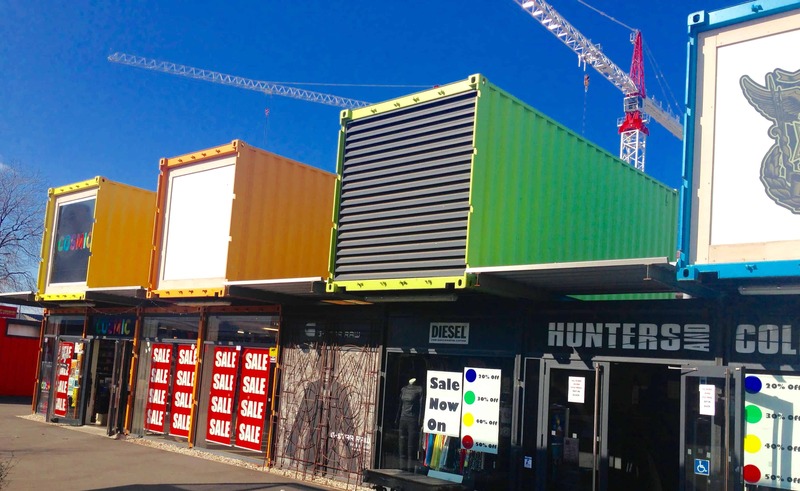 How do you even buy a shipping container – on eBay? And what will happen to all the thousands of shipping containers as the works are completed? It’s fortunate that Christchurch has a thriving port with lots of container ships coming and going. You’ll see containers all around the place. 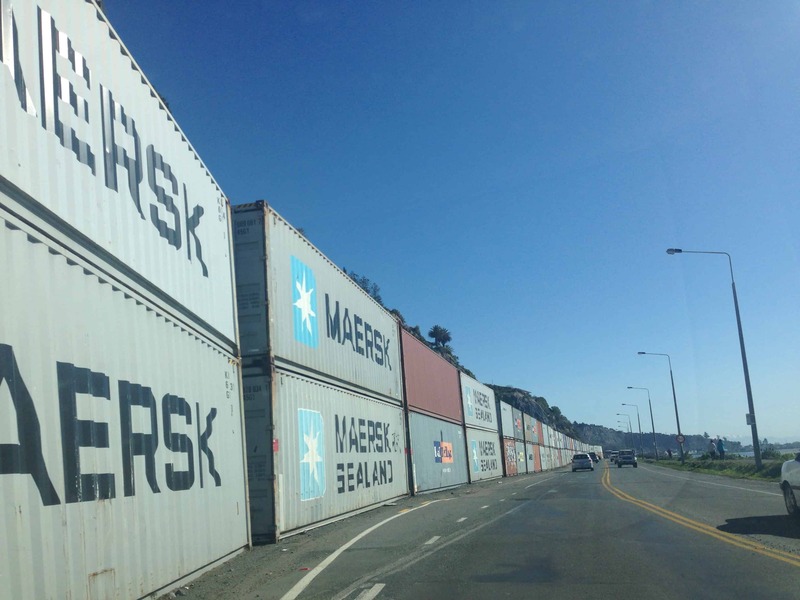 Along the road to Sumner, out by the gorgeous bay, containers line the roads to block rock slides. It really is quite strange to see and must be very confronting for the locals to have this in their faces day after day. So many clever people here in Christchurch. 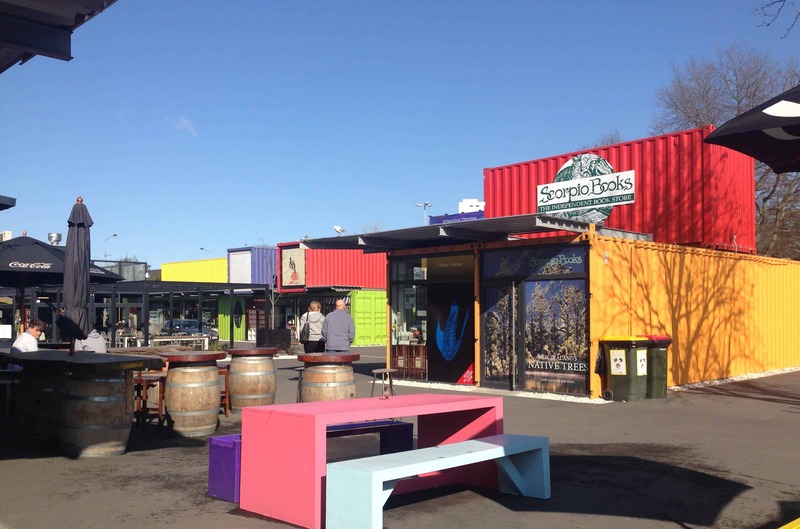 Just a few short months after the devastation of the Feb 2011 earthquakes, enterprising people created a container shopping precinct so that retailers could keep their businesses going, and for people to shop and meet for coffee. 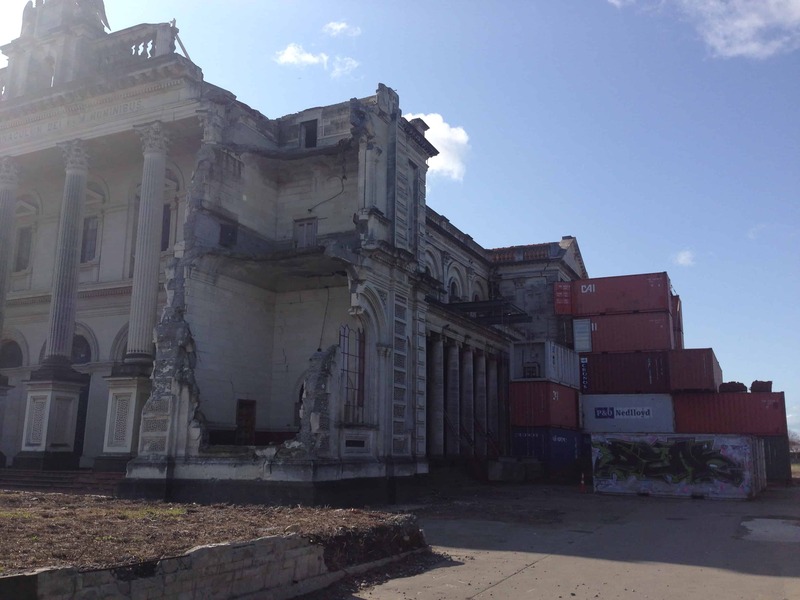 They call it the Re:START Mall on Cashel St. Locals have great vision for the creation of a reinvented Christchurch. 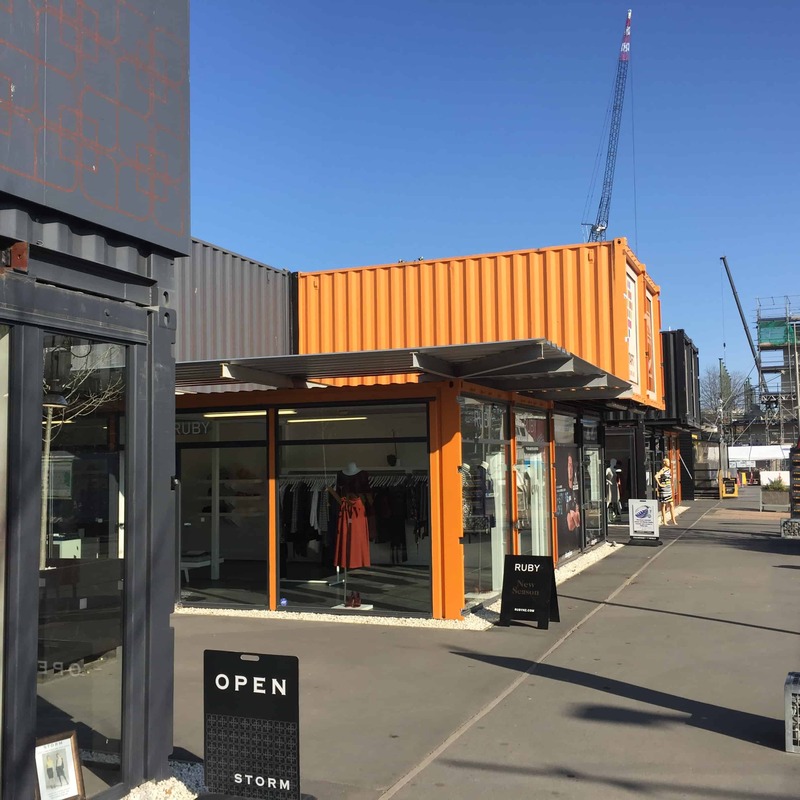 Alleyways, just like in a normal city, connect these container stores. Brightly coloured shops, much nicer than the drab old buildings we’re used to seeing in other cities. People are really happy to be around these spaces. 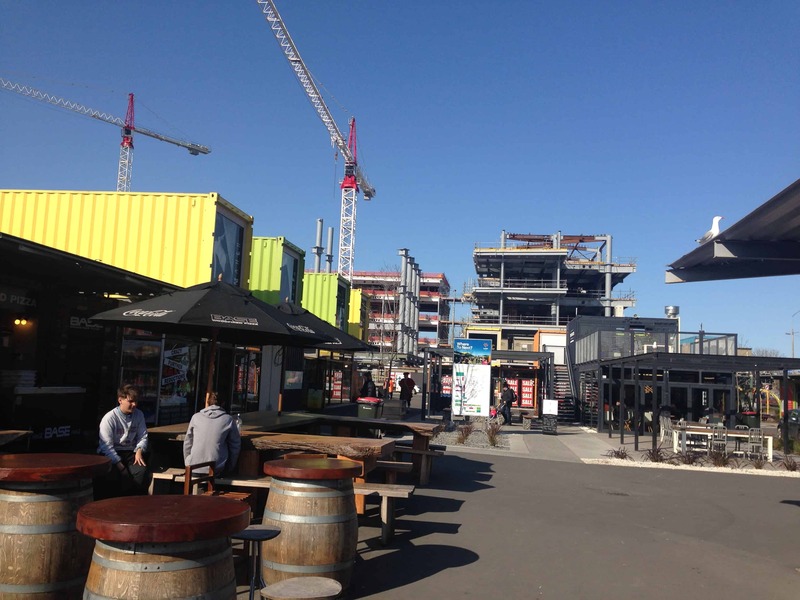 The people of Christchurch have created a modern, dynamic city environment, attracting locals and tourists. We will leave this great slow-paced city of challenge, diversity and hope and move on to our road trip from the west coast around to Dunedin to our first NZ house/pet sit. Thanks for following along, please feel welcome to leave a comment if you like.